6350601 FG35 TOYOTA FG35 LPG/Gasoline forklift FG series. Spare parts catalog. Service (workshop) Manual. 6350602 3FG35 TOYOTA 3FG35 LPG/Gasoline forklift FG series. Spare parts catalog. Service (workshop) Manual. 6350603 5FG35 TOYOTA 5FG35 LPG/Gasoline forklift FG series. Spare parts catalog. Service (workshop) Manual. 6350604 6FG35 TOYOTA 6FG35 LPG/Gasoline forklift FG series. Spare parts catalog. Service (workshop) Manual. 6350605 7FG35 TOYOTA 7FG35 LPG/Gasoline forklift FG series. Spare parts catalog. Service (workshop) Manual. 6350606 8FG35 TOYOTA 8FG35 LPG/Gasoline forklift FG series. Spare parts catalog. Service (workshop) Manual. 6350607 02-FG35 TOYOTA 02-FG35 LPG/Gasoline forklift FG series. Spare parts catalog. Service (workshop) Manual. 6350608 02-3FG35 TOYOTA 02-3FG35 LPG/Gasoline forklift FG series. Spare parts catalog. Service (workshop) Manual. 6350609 02-5FG35 TOYOTA 02-5FG35 LPG/Gasoline forklift FG series. Spare parts catalog. Service (workshop) Manual. 6350610 02-6FG35 TOYOTA 02-6FG35 LPG/Gasoline forklift FG series. Spare parts catalog. Service (workshop) Manual. 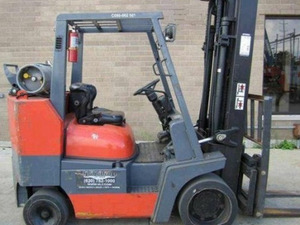 6350611 52-6FG35 TOYOTA 52-6FG35 LPG/Gasoline forklift FG series. Spare parts catalog. Service (workshop) Manual. 6350612 02-7FG35 TOYOTA 02-7FG35 LPG/Gasoline forklift FG series. Spare parts catalog. Service (workshop) Manual. 6350613 8FG35N TOYOTA 8FG35N LPG/Gasoline forklift FG series. Spare parts catalog. Service (workshop) Manual. 6350614 8FG35U TOYOTA 8FG35U LPG/Gasoline forklift FG series. Spare parts catalog. Service (workshop) Manual. 6350615 5FG38 TOYOTA 5FG38 LPG/Gasoline forklift FG series. Spare parts catalog. Service (workshop) Manual. 6350616 02-5FG38 TOYOTA 02-5FG38 LPG/Gasoline forklift FG series. Spare parts catalog. Service (workshop) Manual. 6350617 FG40 TOYOTA FG40 LPG/Gasoline forklift FG series. Spare parts catalog. Service (workshop) Manual. 6350618 3FG40 TOYOTA 3FG40 LPG/Gasoline forklift FG series. Spare parts catalog. Service (workshop) Manual. 6350619 5FG40 TOYOTA 5FG40 LPG/Gasoline forklift FG series. Spare parts catalog. Service (workshop) Manual. 6350620 6FG40 TOYOTA 6FG40 LPG/Gasoline forklift FG series. Spare parts catalog. Service (workshop) Manual. 6350621 7FG40 TOYOTA 7FG40 LPG/Gasoline forklift FG series. Spare parts catalog. Service (workshop) Manual. 6350622 8FG40 TOYOTA 8FG40 LPG/Gasoline forklift FG series. Spare parts catalog. Service (workshop) Manual. 6350623 02-FG40 TOYOTA 02-FG40 LPG/Gasoline forklift FG series. Spare parts catalog. Service (workshop) Manual. 6350624 02-3FG40 TOYOTA 02-3FG40 LPG/Gasoline forklift FG series. Spare parts catalog. Service (workshop) Manual. 6350625 02-5FG40 TOYOTA 02-5FG40 LPG/Gasoline forklift FG series. Spare parts catalog. Service (workshop) Manual. 6350626 02-6FG40 TOYOTA 02-6FG40 LPG/Gasoline forklift FG series. Spare parts catalog. Service (workshop) Manual. 6350627 52-6FG40 TOYOTA 52-6FG40 LPG/Gasoline forklift FG series. Spare parts catalog. Service (workshop) Manual. 6350628 02-7FG40 TOYOTA 02-7FG40 LPG/Gasoline forklift FG series. Spare parts catalog. Service (workshop) Manual. 6350629 8FG40N TOYOTA 8FG40N LPG/Gasoline forklift FG series. Spare parts catalog. Service (workshop) Manual. 6350630 8FG40U TOYOTA 8FG40U LPG/Gasoline forklift FG series. Spare parts catalog. Service (workshop) Manual. 6350631 FG45 TOYOTA FG45 LPG/Gasoline forklift FG series. Spare parts catalog. Service (workshop) Manual. 6350632 5FG45 TOYOTA 5FG45 LPG/Gasoline forklift FG series. Spare parts catalog. Service (workshop) Manual. 6350633 6FG45 TOYOTA 6FG45 LPG/Gasoline forklift FG series. Spare parts catalog. Service (workshop) Manual. 6350634 7FG45 TOYOTA 7FG45 LPG/Gasoline forklift FG series. Spare parts catalog. Service (workshop) Manual. 6350635 8FG45 TOYOTA 8FG45 LPG/Gasoline forklift FG series. Spare parts catalog. Service (workshop) Manual. 6350636 02-5FG45 TOYOTA 02-5FG45 LPG/Gasoline forklift FG series. Spare parts catalog. Service (workshop) Manual. 6350637 02-6FG45 TOYOTA 02-6FG45 LPG/Gasoline forklift FG series. Spare parts catalog. Service (workshop) Manual. 6350638 52-6FG45 TOYOTA 52-6FG45 LPG/Gasoline forklift FG series. Spare parts catalog. Service (workshop) Manual. 6350639 62-6FG45 TOYOTA 62-6FG45 LPG/Gasoline forklift FG series. Spare parts catalog. Service (workshop) Manual. 6350640 02-7FG45 TOYOTA 02-7FG45 LPG/Gasoline forklift FG series. Spare parts catalog. Service (workshop) Manual. 6350641 8FG45N TOYOTA 8FG45N LPG/Gasoline forklift FG series. Spare parts catalog. Service (workshop) Manual. 6350642 8FG45U TOYOTA 8FG45U LPG/Gasoline forklift FG series. Spare parts catalog. Service (workshop) Manual. 6350643 3FG50 TOYOTA 3FG50 LPG/Gasoline forklift FG series. Spare parts catalog. Service (workshop) Manual. 6350644 5FG50 TOYOTA 5FG50 LPG/Gasoline forklift FG series. Spare parts catalog. Service (workshop) Manual. 6350645 8FG50 TOYOTA 8FG50 LPG/Gasoline forklift FG series. Spare parts catalog. Service (workshop) Manual. 6350646 8FG50N TOYOTA 8FG50N LPG/Gasoline forklift FG series. Spare parts catalog. Service (workshop) Manual. 6350647 8FG50U TOYOTA 8FG50U LPG/Gasoline forklift FG series. Spare parts catalog. Service (workshop) Manual. 6350648 3FG60 TOYOTA 3FG60 LPG/Gasoline forklift FG series. Spare parts catalog. Service (workshop) Manual. 6350649 5FG60 TOYOTA 5FG60 LPG/Gasoline forklift FG series. Spare parts catalog. Service (workshop) Manual. 6350650 8FG60U TOYOTA 8FG60U LPG/Gasoline forklift FG series. Spare parts catalog. Service (workshop) Manual. 6350651 FG70 TOYOTA FG70 LPG/Gasoline forklift FG series. Spare parts catalog. Service (workshop) Manual. 6350652 5FG70 TOYOTA 5FG70 LPG/Gasoline forklift FG series. Spare parts catalog. Service (workshop) Manual. 6350653 8FG70U TOYOTA 8FG70U LPG/Gasoline forklift FG series. Spare parts catalog. Service (workshop) Manual. 6350654 8FG80U TOYOTA 8FG80U LPG/Gasoline forklift FG series. Spare parts catalog. Service (workshop) Manual. 6350656 FGC35 TOYOTA FGC35 LPG/Gasoline forklift FGC series. Spare parts catalog. Service (workshop) Manual. 6350657 FGC40 TOYOTA FGC40 LPG/Gasoline forklift FGC series. Spare parts catalog. Service (workshop) Manual. 6350658 FGC45 TOYOTA FGC45 LPG/Gasoline forklift FGC series. Spare parts catalog. Service (workshop) Manual. 6350659 8FGC45U TOYOTA 8FGC45U LPG/Gasoline forklift FGC series. Spare parts catalog. Service (workshop) Manual. 6350660 8FGC55U TOYOTA 8FGC55U LPG/Gasoline forklift FGC series. Spare parts catalog. Service (workshop) Manual. 6350661 8FGC60U TOYOTA 8FGC60U LPG/Gasoline forklift FGC series. Spare parts catalog. Service (workshop) Manual. 6350662 8FGC70U TOYOTA 8FGC70U LPG/Gasoline forklift FGC series. Spare parts catalog. Service (workshop) Manual. 6350664 7FGCU35 TOYOTA 7FGCU35 LPG/Gasoline forklift FGCU series. Spare parts catalog. Service (workshop) Manual. 6350665 52-6FGCU35 TOYOTA 52-6FGCU35 LPG/Gasoline forklift FGCU series. Spare parts catalog. Service (workshop) Manual. 6350666 7FGCU45 TOYOTA 7FGCU45 LPG/Gasoline forklift FGCU series. Spare parts catalog. Service (workshop) Manual. 6350667 52-6FGCU45 TOYOTA 52-6FGCU45 LPG/Gasoline forklift FGCU series. Spare parts catalog. Service (workshop) Manual. 6350668 7FGCU55 TOYOTA 7FGCU55 LPG/Gasoline forklift FGCU series. Spare parts catalog. Service (workshop) Manual. 6350669 7FGCU60 TOYOTA 7FGCU60 LPG/Gasoline forklift FGCU series. Spare parts catalog. Service (workshop) Manual. 6350670 7FGCU70 TOYOTA 7FGCU70 LPG/Gasoline forklift FGCU series. Spare parts catalog. Service (workshop) Manual. 6350672 FGE35 TOYOTA FGE35 LPG/Gasoline forklift FGE series. Spare parts catalog. Service (workshop) Manual. 6350673 5FGE35 TOYOTA 5FGE35 LPG/Gasoline forklift FGE series. Spare parts catalog. Service (workshop) Manual. 6350674 6FGE35 TOYOTA 6FGE35 LPG/Gasoline forklift FGE series. Spare parts catalog. Service (workshop) Manual. 6350675 02-FGE35 TOYOTA 02-FGE35 LPG/Gasoline forklift FGE series. Spare parts catalog. Service (workshop) Manual. 6350676 02-5FGE35 TOYOTA 02-5FGE35 LPG/Gasoline forklift FGE series. Spare parts catalog. Service (workshop) Manual. 6350677 02-6FGE35 TOYOTA 02-6FGE35 LPG/Gasoline forklift FGE series. Spare parts catalog. Service (workshop) Manual. 6350678 52-6FGE35 TOYOTA 52-6FGE35 LPG/Gasoline forklift FGE series. Spare parts catalog. Service (workshop) Manual. 6350680 7FGJ35 TOYOTA 7FGJ35 LPG/Gasoline forklift FGJ series. Spare parts catalog. Service (workshop) Manual. 6350681 8FGJ35 TOYOTA 8FGJ35 LPG/Gasoline forklift FGJ series. Spare parts catalog. Service (workshop) Manual. 6350682 02-7FGJ35 TOYOTA 02-7FGJ35 LPG/Gasoline forklift FGJ series. Spare parts catalog. Service (workshop) Manual. 6350683 02-8FGJ35 TOYOTA 02-8FGJ35 LPG/Gasoline forklift FGJ series. Spare parts catalog. Service (workshop) Manual. 6350684 30-8FGJ35 TOYOTA 30-8FGJ35 LPG/Gasoline forklift FGJ series. Spare parts catalog. Service (workshop) Manual. 6350685 32-8FGJ35 TOYOTA 32-8FGJ35 LPG/Gasoline forklift FGJ series. Spare parts catalog. Service (workshop) Manual. 6350686 62-8FGJ35 TOYOTA 62-8FGJ35 LPG/Gasoline forklift FGJ series. Spare parts catalog. Service (workshop) Manual. 6350687 06-8FGJ35F TOYOTA 06-8FGJ35F LPG/Gasoline forklift FGJ series. Spare parts catalog. Service (workshop) Manual. 6350689 02-7FGJF35 TOYOTA 02-7FGJF35 LPG/Gasoline forklift FGJF series. Spare parts catalog. Service (workshop) Manual. 6350690 02-8FGJF35 TOYOTA 02-8FGJF35 LPG/Gasoline forklift FGJF series. Spare parts catalog. Service (workshop) Manual. 6350691 32-8FGJF35 TOYOTA 32-8FGJF35 LPG/Gasoline forklift FGJF series. Spare parts catalog. Service (workshop) Manual. 6350693 7FGK40 TOYOTA 7FGK40 LPG/Gasoline forklift FGK series. Spare parts catalog. Service (workshop) Manual. 6350694 02-7FGK40 TOYOTA 02-7FGK40 LPG/Gasoline forklift FGK series. Spare parts catalog. Service (workshop) Manual. 6350696 7FGKU40 TOYOTA 7FGKU40 LPG/Gasoline forklift FGKU series. Spare parts catalog. Service (workshop) Manual. 6350698 7FGU35 TOYOTA 7FGU35 LPG/Gasoline forklift FGU series. Spare parts catalog. Service (workshop) Manual. 6350699 02-5FGU35 TOYOTA 02-5FGU35 LPG/Gasoline forklift FGU series. Spare parts catalog. Service (workshop) Manual. 6350700 52-6FGU35 TOYOTA 52-6FGU35 LPG/Gasoline forklift FGU series. Spare parts catalog. Service (workshop) Manual. 6350701 02-5FGU40 TOYOTA 02-5FGU40 LPG/Gasoline forklift FGU series. Spare parts catalog. Service (workshop) Manual. 6350702 52-6FGU40 TOYOTA 52-6FGU40 LPG/Gasoline forklift FGU series. Spare parts catalog. Service (workshop) Manual. 6350703 7FGU45 TOYOTA 7FGU45 LPG/Gasoline forklift FGU series. Spare parts catalog. Service (workshop) Manual. 6350704 02-5FGU45 TOYOTA 02-5FGU45 LPG/Gasoline forklift FGU series. Spare parts catalog. Service (workshop) Manual. 6350705 52-6FGU45 TOYOTA 52-6FGU45 LPG/Gasoline forklift FGU series. Spare parts catalog. Service (workshop) Manual. 6350706 7FGU60 TOYOTA 7FGU60 LPG/Gasoline forklift FGU series. Spare parts catalog. Service (workshop) Manual. 6350707 7FGU70 TOYOTA 7FGU70 LPG/Gasoline forklift FGU series. Spare parts catalog. Service (workshop) Manual. 6350708 7FGU80 TOYOTA 7FGU80 LPG/Gasoline forklift FGU series. Spare parts catalog. Service (workshop) Manual. 6350710 02-6FGA50 TOYOTA 02-6FGA50 LPG/Gasoline forklift FGA series. Spare parts catalog. Service (workshop) Manual. 6350711 52-6FGA50 TOYOTA 52-6FGA50 LPG/Gasoline forklift FGA series. Spare parts catalog. Service (workshop) Manual. 6350712 02-7FGA50 TOYOTA 02-7FGA50 LPG/Gasoline forklift FGA series. Spare parts catalog. Service (workshop) Manual. 6350714 7FGAU50 TOYOTA 7FGAU50 LPG/Gasoline forklift FGAU series. Spare parts catalog. Service (workshop) Manual. 6350715 52-6FGAU50 TOYOTA 52-6FGAU50 LPG/Gasoline forklift FGAU series. Spare parts catalog. Service (workshop) Manual.